The idea that complemented attachment in Chogyam Trungpa’s Meditation in Action, was, very simply, giving. To disconnecting with the idea of possessing is to let go of possessions. Just give it away. Easy, right? Wrong. Because he’s not talking about that old bag of golf clubs in the basement or the extra raincoat that hangs in the front hall closet. He’s talking about giving away our treasure. Granted, there are different kinds of treasure (as there are different types of gurus). In Tibetan Buddhism, there are three types of offerings. The lowest type of offering is of material wealth. Next up the ladder is service. And the highest form of offering is practice. Other strands of Buddhism vary a bit, substituting teaching, compassion or vitality in the top spots. But always, material goods slide into lowly third place on the offering lists. We stuff-loving Americans may be surprised that the material things to which we cling so tightly are the least valuable of the offerings. Or maybe we’re not surprised. Of course it’s more important to give of ourselves than give of our stuff. Right?! But if that’s the case, why the hell are we still clinging??? I always think I’m not overly attached to things, but when I was trying to decide which treasure I could part with, I realized just what attachment means. Even the material, the VERY LOWEST form of giving, was perplexing for me. While it’s not my most beloved, the thing I feel most dependent upon is my computer. No way I’m giving this hunk of metal and wire away. At least not at this point in my life. So I’m still grappling with what the most treasured treasure is in my world, well, second most. When I figure that out, I’m going to give it away. I don’t know to whom yet. Maybe the Lama down the street? Maybe I bury it in my backyard and give it back to Earth, the ultimate guru. Maybe I’ll swallow it and store it in my mouth, like Krishna did the Universe. 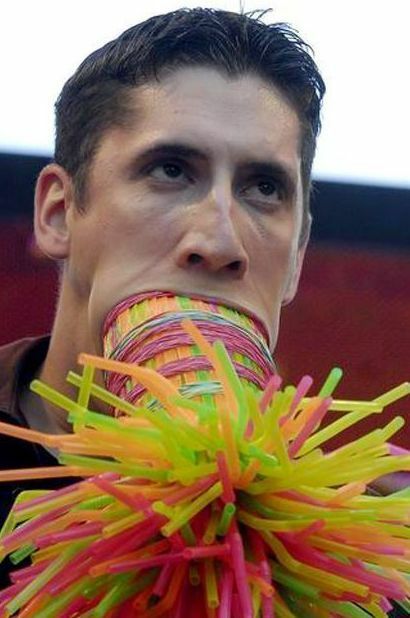 Then again, swallowing things didn’t work out so well for this guy. I’ll let you know. But there are still other types of offering to go! Service? I got this one. There is no shortage of volunteer hours logged over the course of my lifetime – organized or otherwise. But could I give more time? Yes. More love? Yes. More me? Yes. There are always opportunities. And this doesn’t mean serving up stew in a soup kitchen. Service can be performed in countless ways – the most powerful of which is kindness and all its forms. And then there’s the practice. Oh, the practice. Can I commit to a meditation schedule? Can I engage my Buddha light every day, all day? I don’t know. I’m trying, though. I know the light is aching to burst through my chest and light up the world. There is no doubt this is the offering that will best serve my Inner Guru, the guru that rests in my own heart. Realer than stuff, truer than service. The toughest offering of all. Practice. The last paragraph especially speaks to me deeply and inspires me to reflect on my own commitment to practice which leaves…room for improvement. So may I, gently, invite myself to give myself to it again a little each day…for I know it’s the best gift I can give, both to myself and the whole. May you be well, happy and free! sing it, sister. so many distractions. why is it so easy to lose focus on the thing that’s so important?